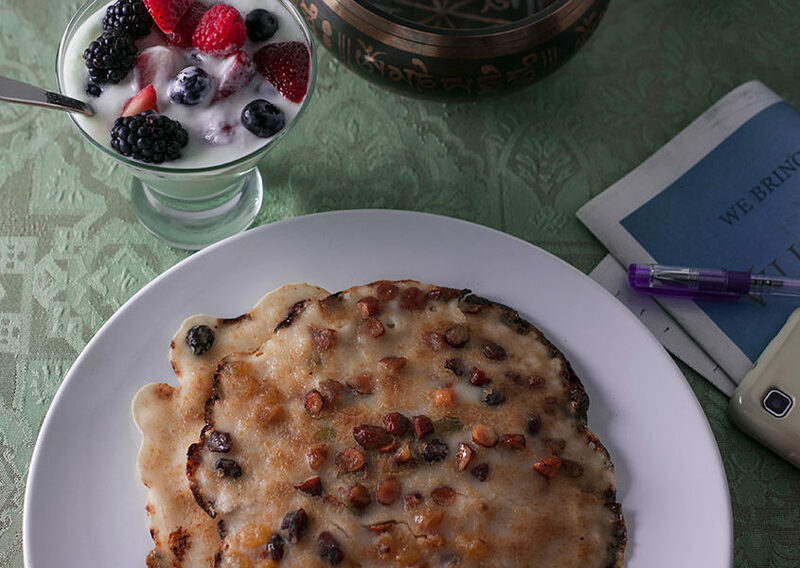 A traditional rice pancakes infused with nuts and hint of sugar. Simply and easy to make. Fold the mixture with mixed nuts. erve with your favorite coffee, tea, yoghurt or fruits. Nuts are expensive, but we could also try making this recipe with granola, oatmeal, crackers, eggs, veggies, bacons, or hams etc. Just avoid sugar if they are for veggies or meat. This is a just a breakfast entrée idea, we can manipulate this into all kinds of meal.